Suits. Swanky characters, smart lines, sharp dressing, pop culture references, the right amount of tension. I was hooked from day one and couldn’t get enough. For those of you who need a little background info: The show is set at Pearson Hardman, a fictional law firm in New York. Mike, a young and smart underachiever, was kicked out of college for selling the answers to a test and now makes a living as a bicycle messenger. His friend Trevor convinces him to take part in a drug deal. 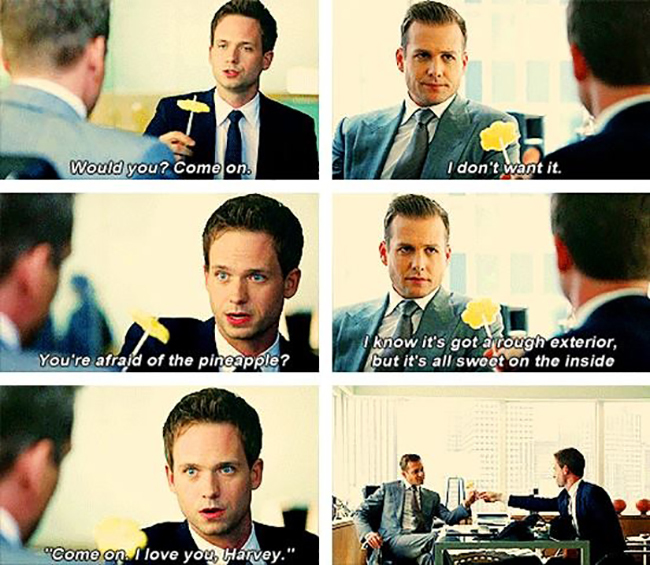 When this all blows up in his face, Mike stumbles into a job interview with Harvey, a lawyer at Pearson Hardman. As a new senior partner, Harvey has to hire a Harvard-educated lawyer as his associate. 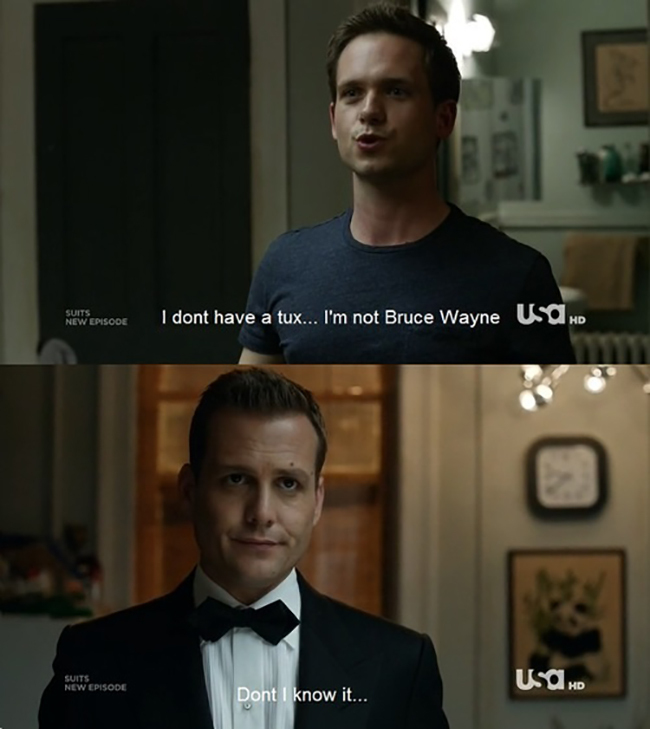 During the interview, Mike proves to Harvey he is the best candidate and is subsequently hired, despite the fact that he does not have a college degree, let alone one from Harvard. 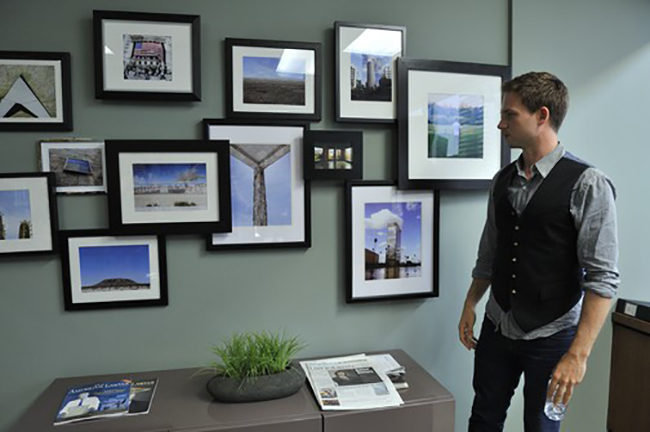 Most of the photographs hung up in paralegal Rachel’s office are the real life work of Patrick J. Adams. The Canadian actor has a knack for photography and his instagram account is definitely a must follow! 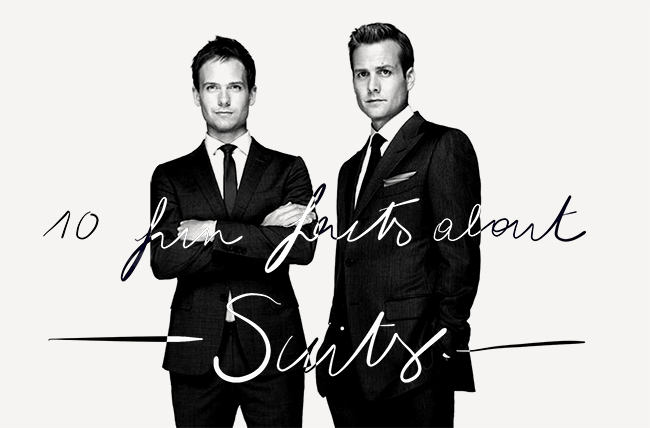 The suits that Gabriel Macht (Harvey) wears are by top designer Tom Ford and he wears up to ten looks in each episode. Costume designer Jolie Andreatta stocks more than 100 suits on set. The women wear Dior, Victoria Beckham, Prada, Zac Posen and Burberry. 3. Ever wondered why Harvey and Donna have amazing chemistry? It’s because Gabriel Macht and Sarah Rafferty are close friends in real life. They have known each other for 20 years. It was Macht who recommended Sarah Rafferty to play Donna. “We joke about how awkward it would be if our characters got romantic.” Gabriel Macht says. Also funny: Patrick J. Adams and Meghan Markle (Mike and Rachel) have also known each other for over six years and have even shot another pilot together in the past. 4. Gina Torres (Jessica) hopes her character will inspire girls to go into law. And she hopes they don’t do it just because her character dresses well. 5. 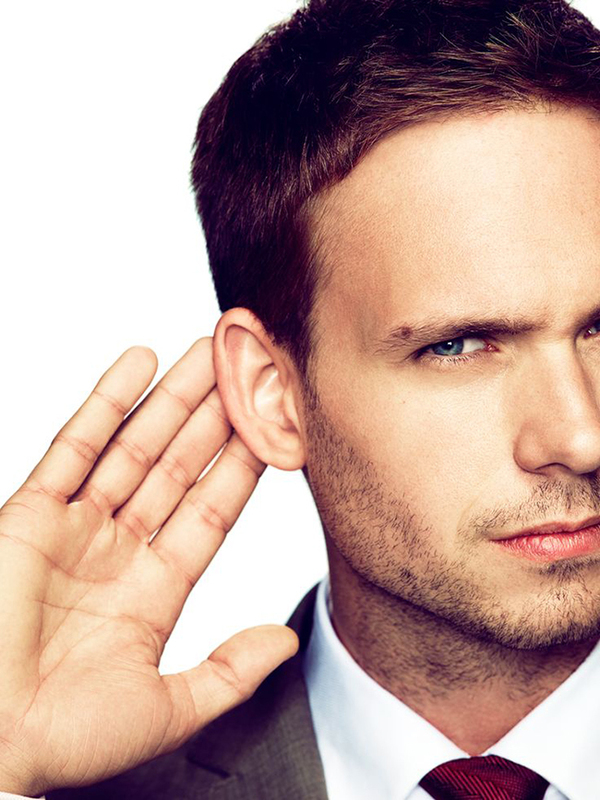 Patrick J. Adams was cast because of his eyes. 6. 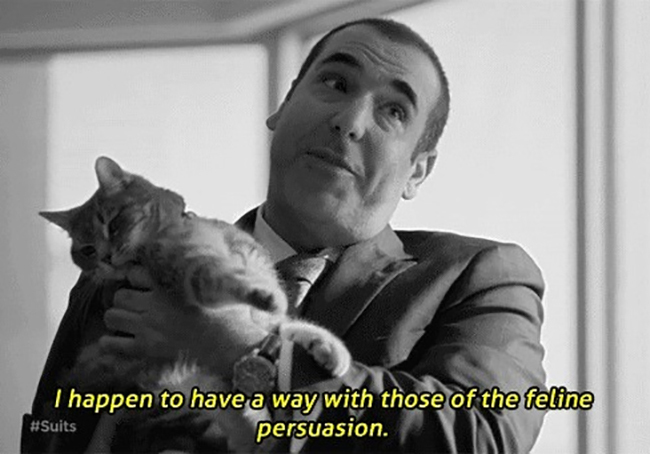 Louis Litt may be a big fan of cats, but actor Rick Hoffman is actually allergic to them. 7. Patrick J. adams is dating actress Troian Belissario. And they’re officially the cutest! You need proof of that? Well here it is. He visits her on the set of Pretty Little Liars, she makes him breakfast. And they write cheesy captions about their love on instagram. Sounds good to me! The two have gotten engaged in februari 2014. 8. 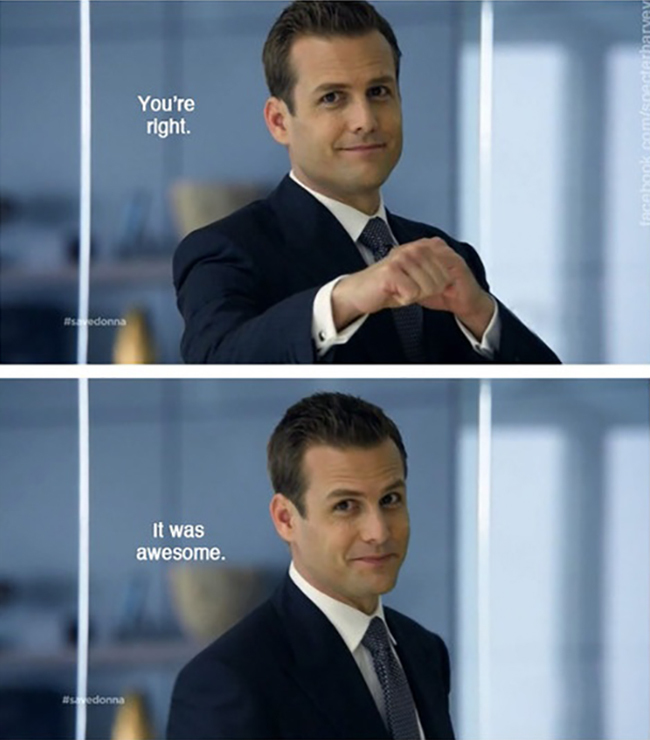 Gabriel Macht comes from a family full of lawyers, but his dad and his wife also appeared on Suits! Gabriel Macht’s wife played jury consultant Zoe Lawford on the show and his father Stephen Macht plays his on-screen dad Harvard Law professor Gerard Specter. 9. 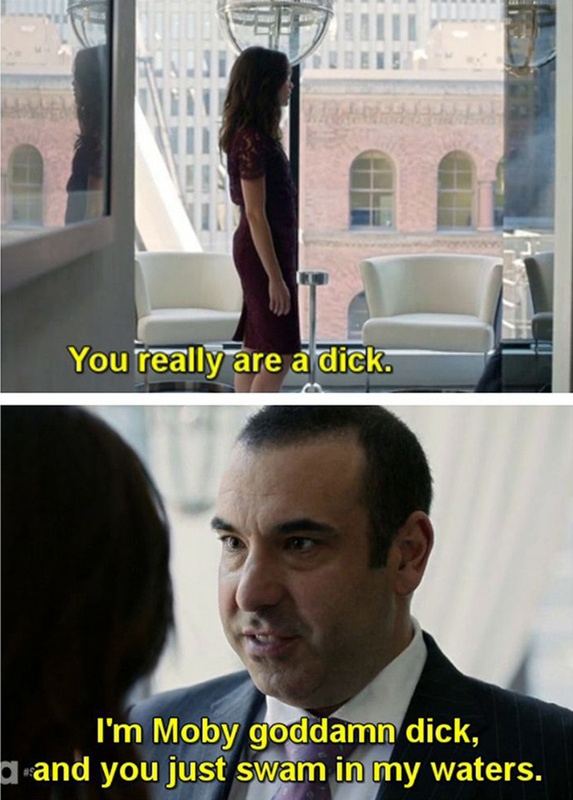 Suits was first named A Legal Mind. Good thing they changed the title. Far less catchy, no? 10. Rachel Zane is a foodie because Meghan Markle loves to cook. Another favorite passtime? Before she was on Suits, Meghan Markle did calligraphy for celebrity wedding invitations and holiday correspondence.